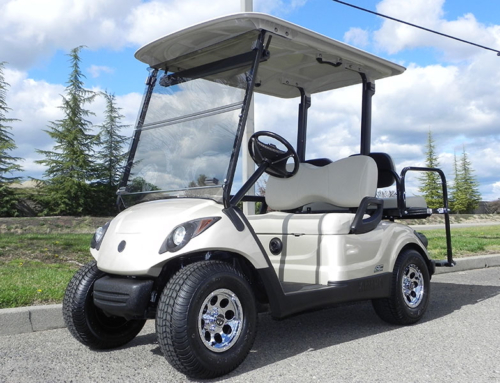 2013 Club Car Precedent, 48 volt with 2017 Trojan 8v batteries, 15 mph, beige color, new cargo box, new windshield, available at $3,865. 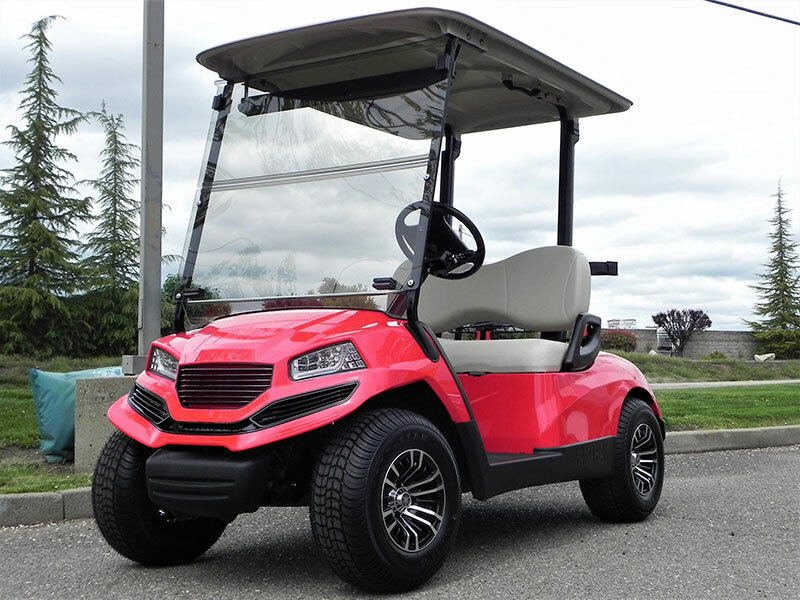 Share This Car, Choose Your Platform! 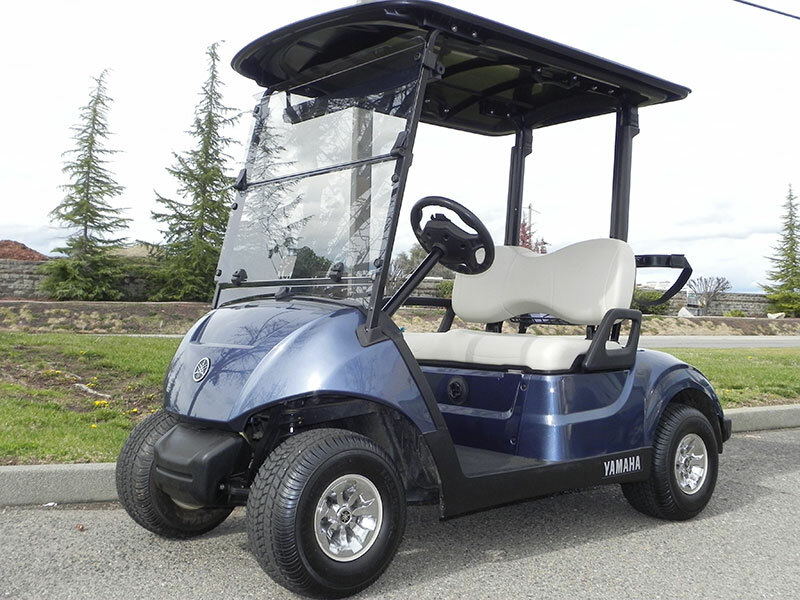 We offer the latest inventory from the new Club Car and Yamaha golf car lines, including the Drive2, UMAX, and Concierge; we have custom gas and electric powered golf carts, a large variety of used golf carts, varied golf cart accessories and service, and golf cart rentals throughout the Greater Sacramento Metropolitan Area. We regularly list information and pictures of our cars for sale the day they are available. 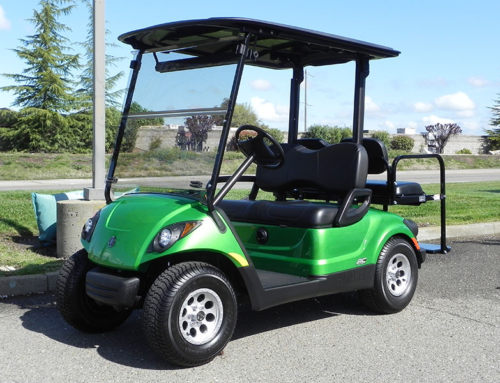 Please visit our social pages to stay updated on our current inventory and latest news. 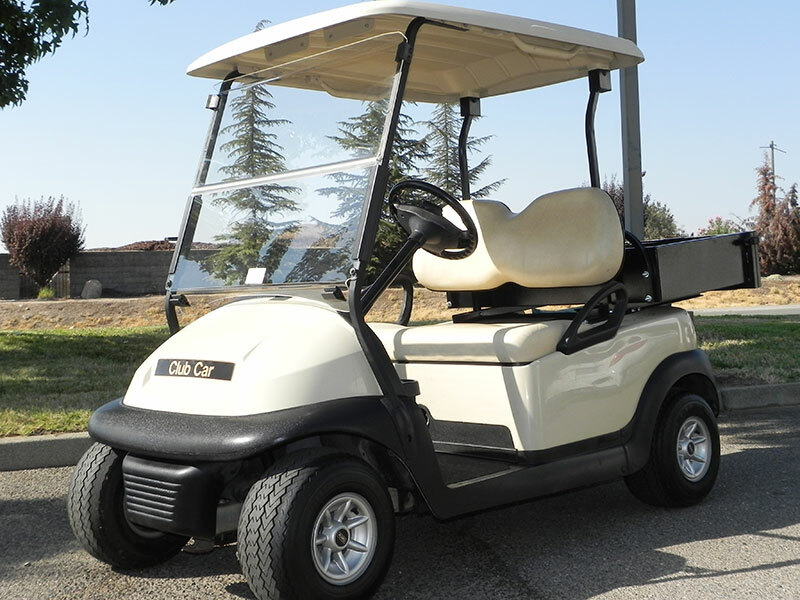 We provide golf cart sales and service throughout the greater Sacramento area. 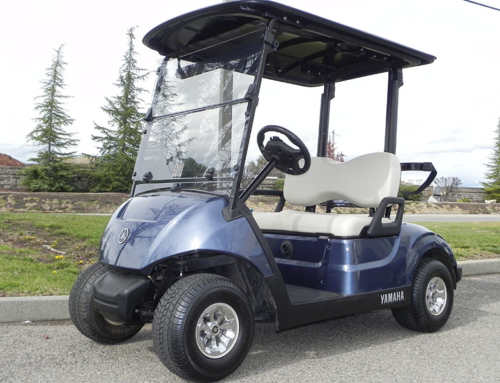 Our inventory includes new, used or refurbished Yamaha and Club Car golf cars and carts, electric or gas, as well as golf cart parts, accessories, enclosures, golf cart rentals, repair and service. Whether you are looking to purchase a cart for the first time, trade in your golf cart in order to upgrade, Gilchrist Golf Cars is an award winning golf carts company with the experience and inventory to ensure that you get the golf car that you’ve dreamed of. 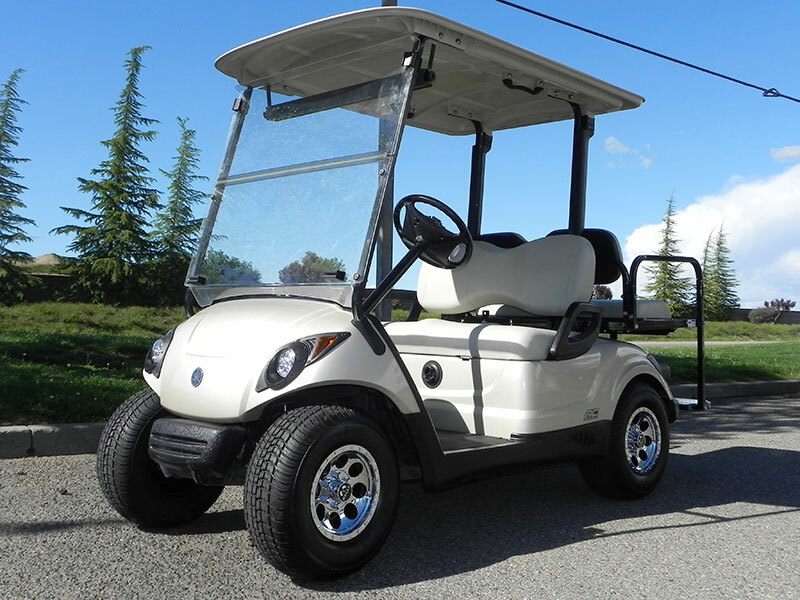 We sell the latest street-legal Villager NEV and the Precedent, and the Yamaha Drive2 Fleet, PTV, and Utility Vehicles — we have new golf cars for sale at affordable prices, the best inventory in used reconditioned golf cars available, all popular golf cart options and accessories, and the largest golf car rental fleet in the Sacramento area.